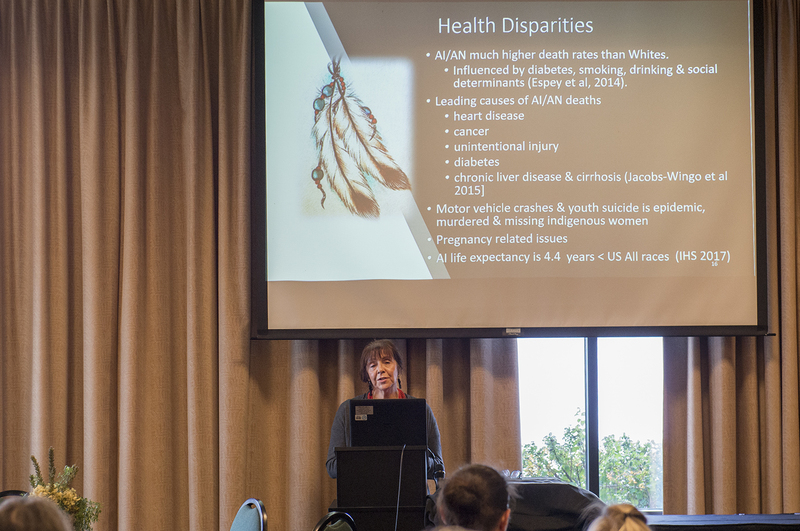 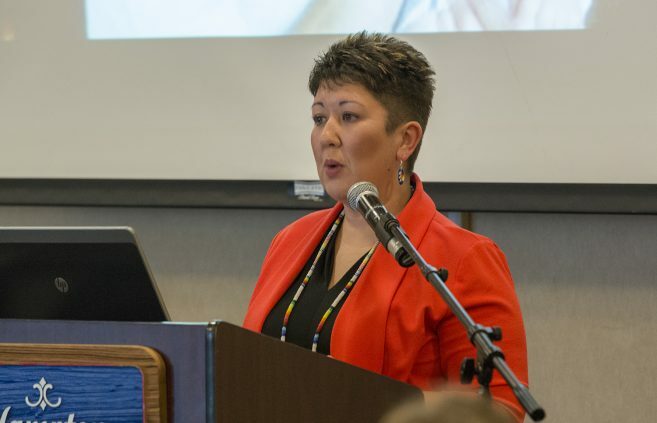 Dr. Misty Wilkie, associate professor of nursing at BSU, provided a keynote address on the university’s Niganawenimaanaanig program. 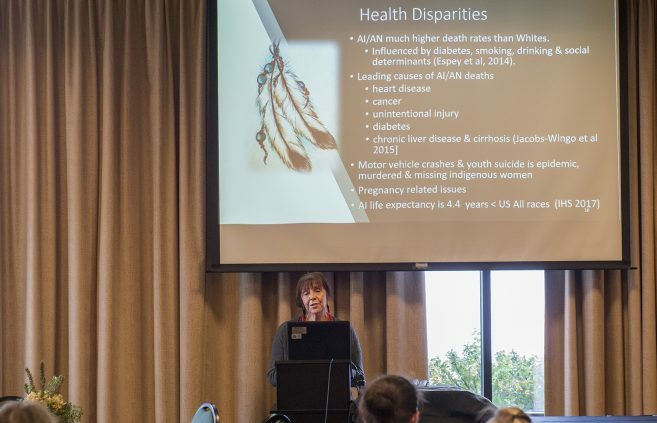 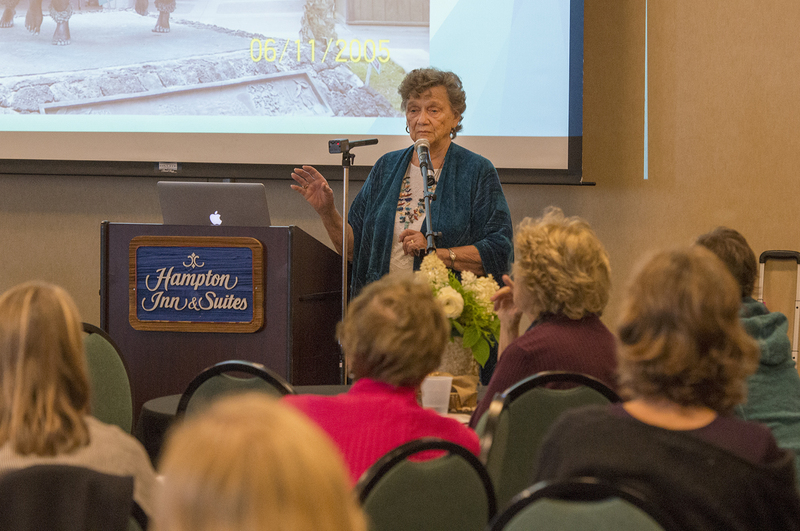 Keynote speaker, Dr. Helen Erickson presents at international conference in Bemidji. 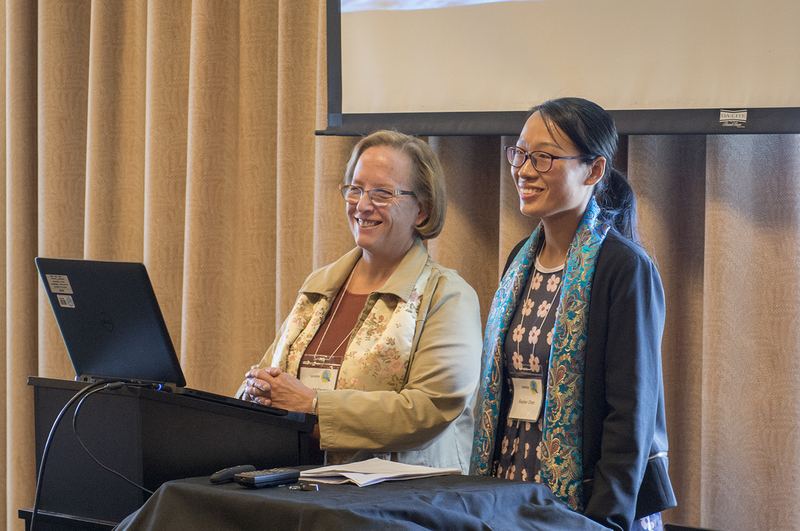 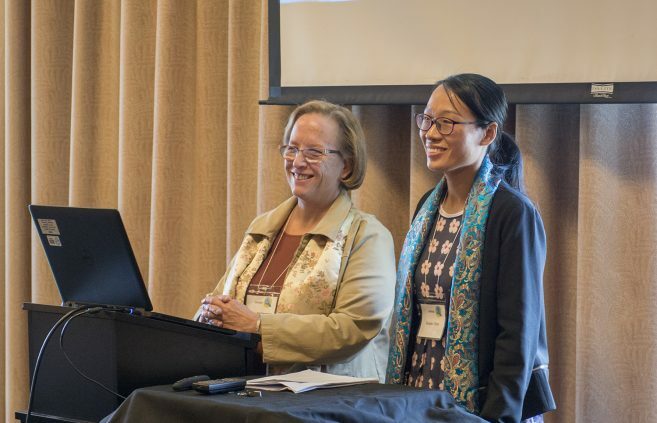 Dr. Jeanine McDermott, associate professor of nursing presents her research with Guiyuan Chen at Modeling and Role-Modeling International Conference held in Bemidji. 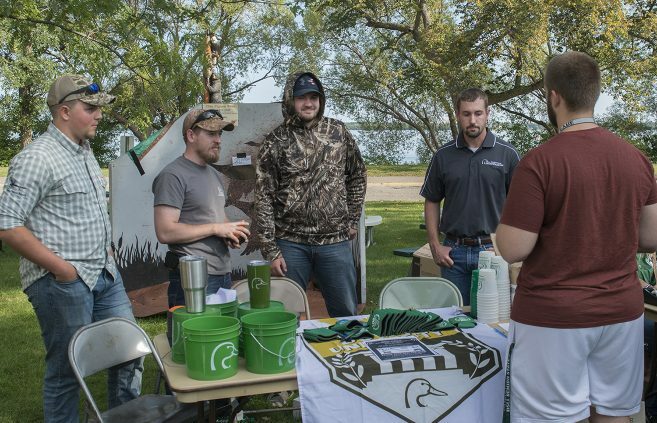 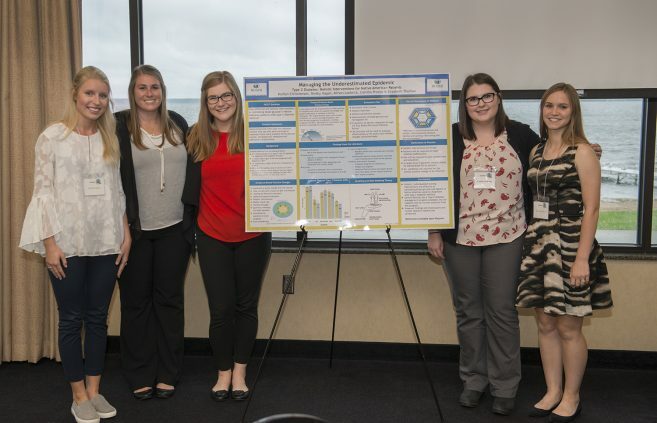 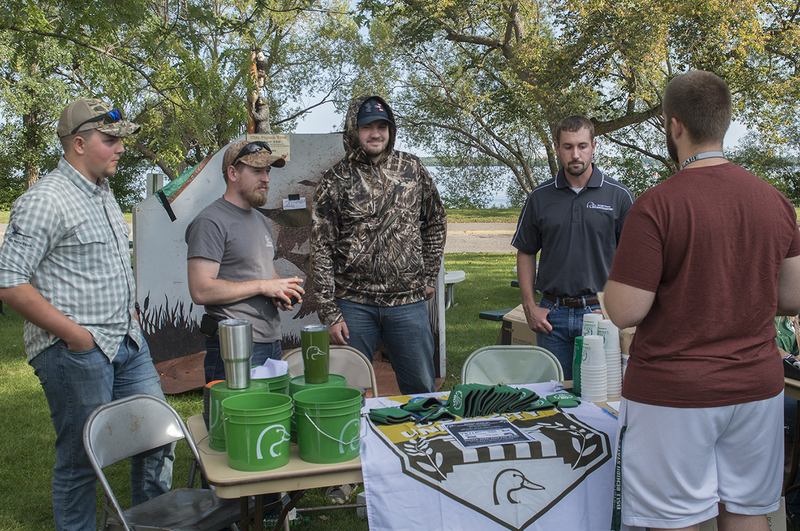 Bemidji State University students present their research at the Modeling and Role-Modeling International Conference held in Bemidji. 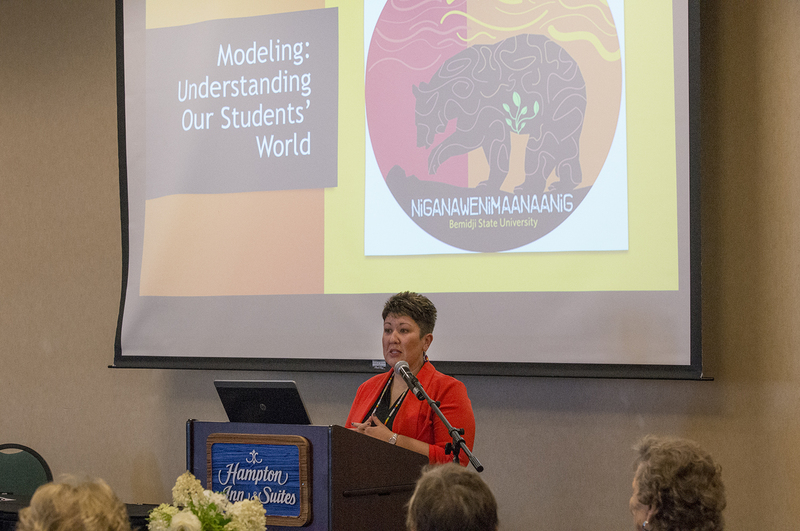 Bemidji State University faculty present their research at the Modeling and Role-Modeling International Conference held in Bemidji. 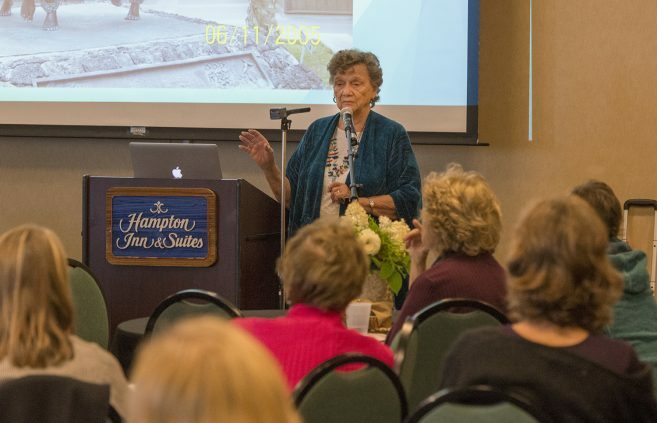 Dr. Mary Fairbanks, BSU professor of nursing. Dr. Jeanine McDermott, Bemidji State associate professor of nursing. 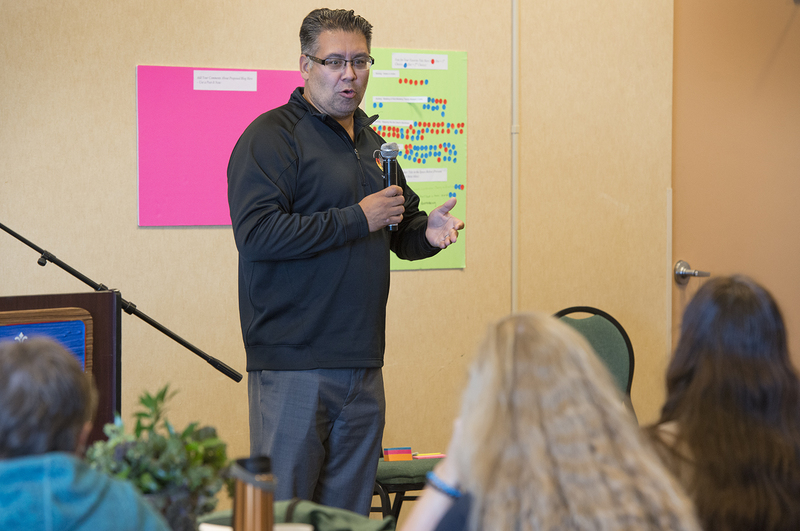 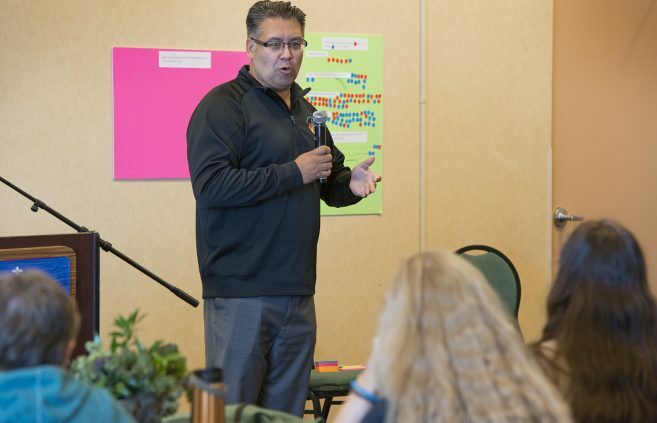 Bill Blackwell, director of the American Indian Resource Center at Bemidji State University, facilitates a cultural immersion drumming experience to open and close international conference held in Bemidji. 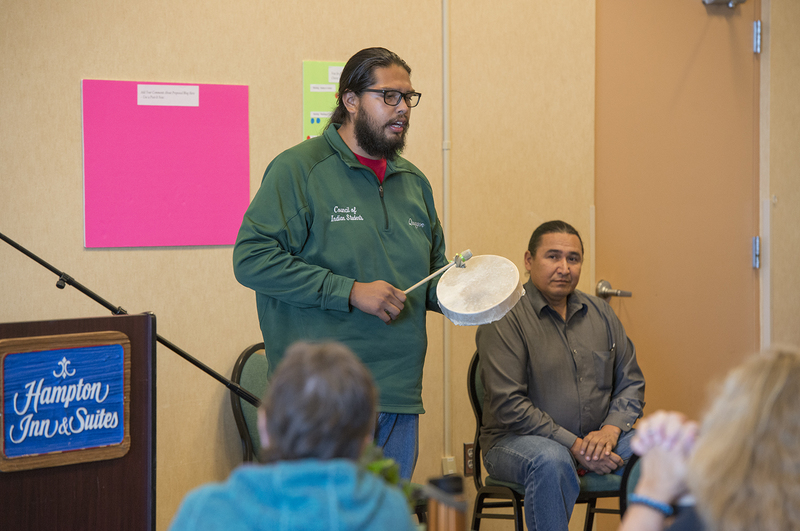 Brandon Quagon, a BSU freshman from Duluth, Minn. pursuing a degree in indigenous studies, facilitates cultural immersion drumming experience to open and close international conference held in Bemidji. 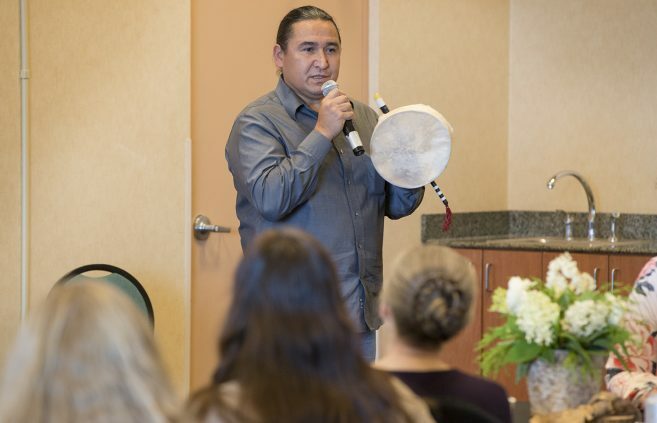 Buck Jourdain of Red Lake, Minn., facilitates a cultural immersion drumming experience to open and close international conference held in Bemidji. 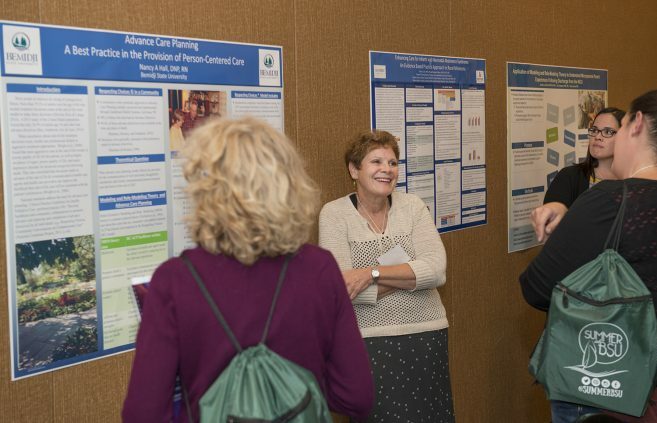 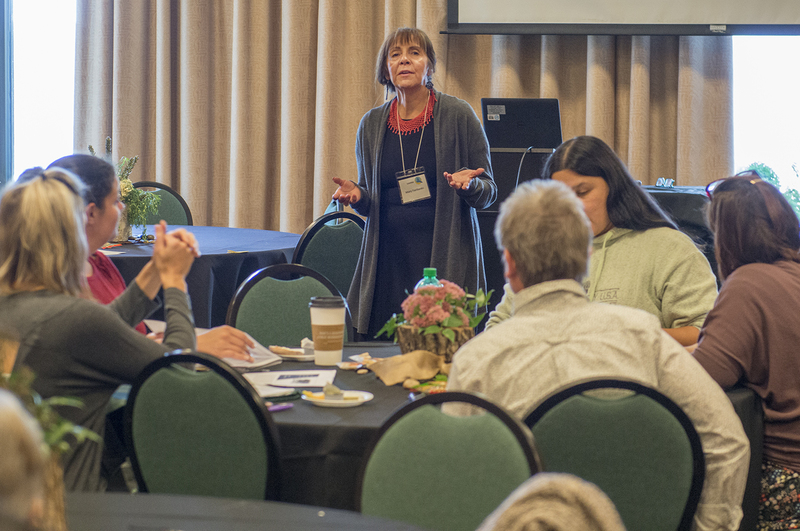 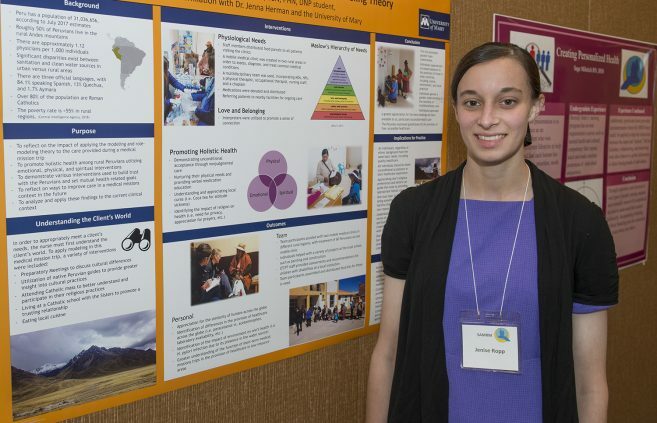 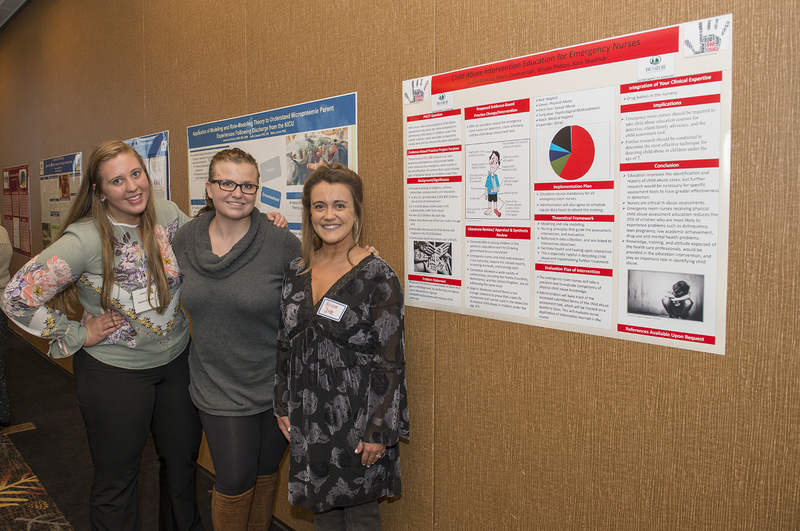 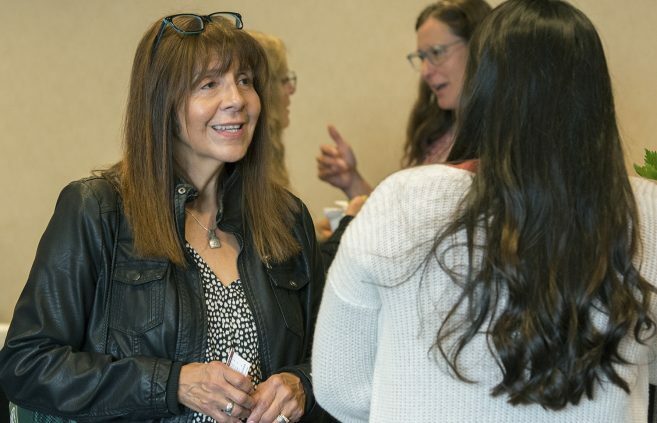 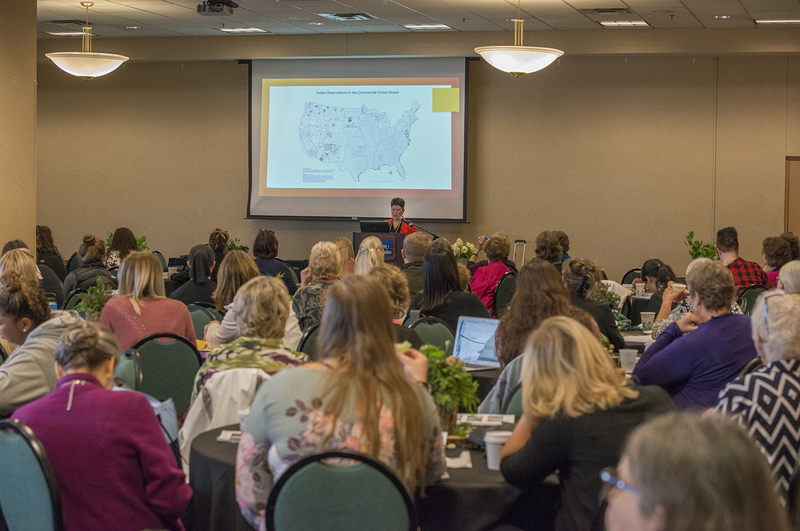 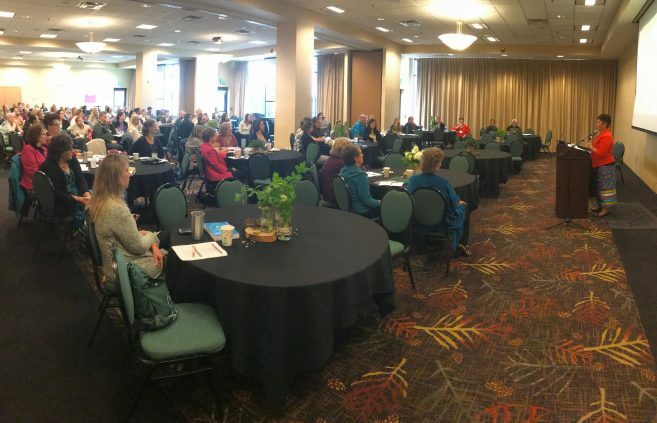 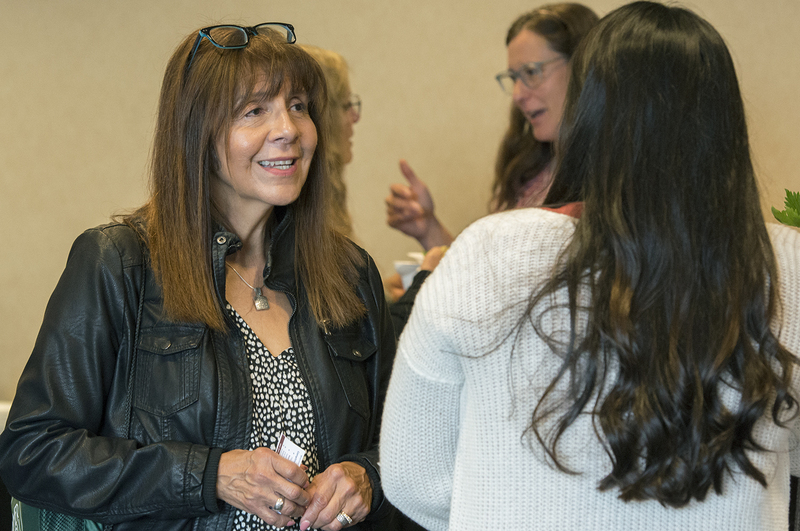 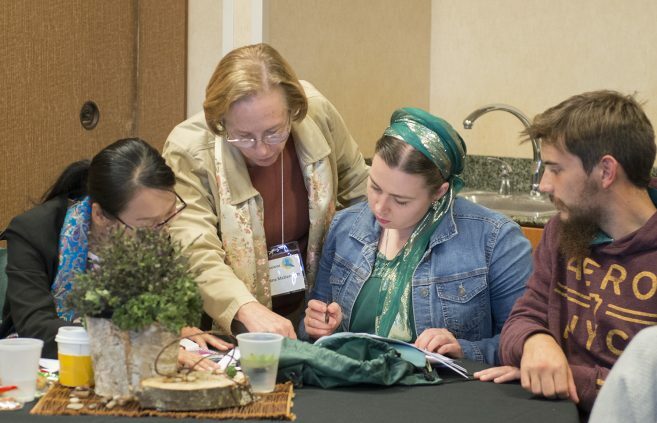 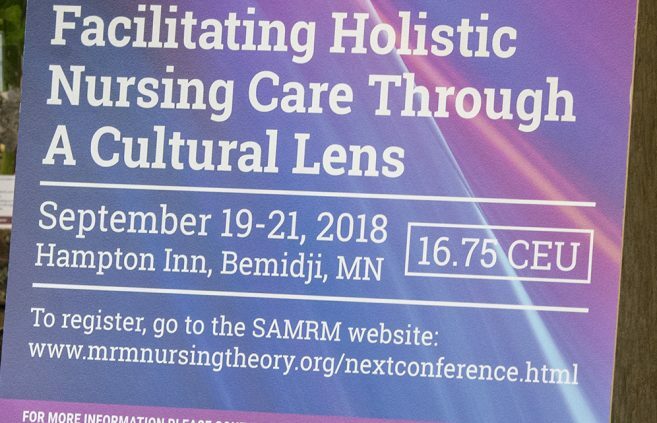 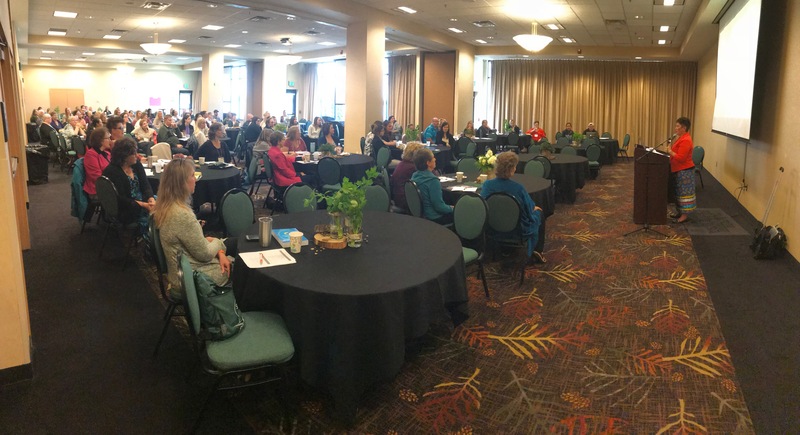 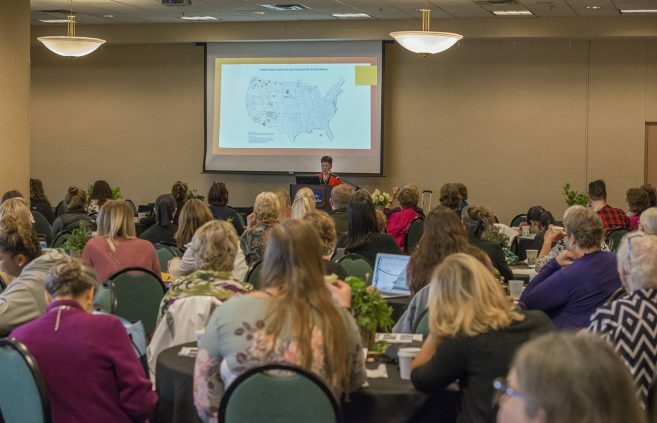 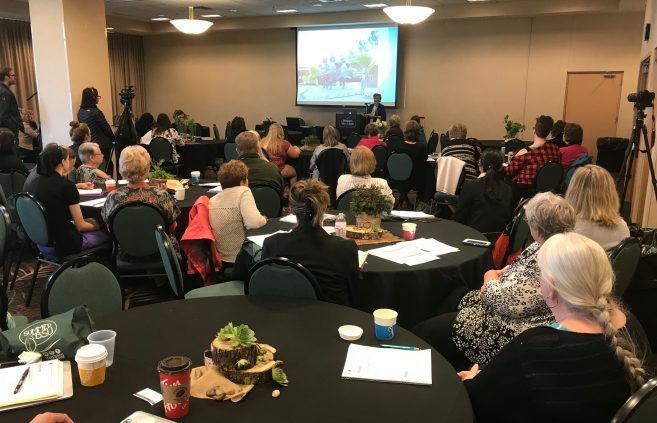 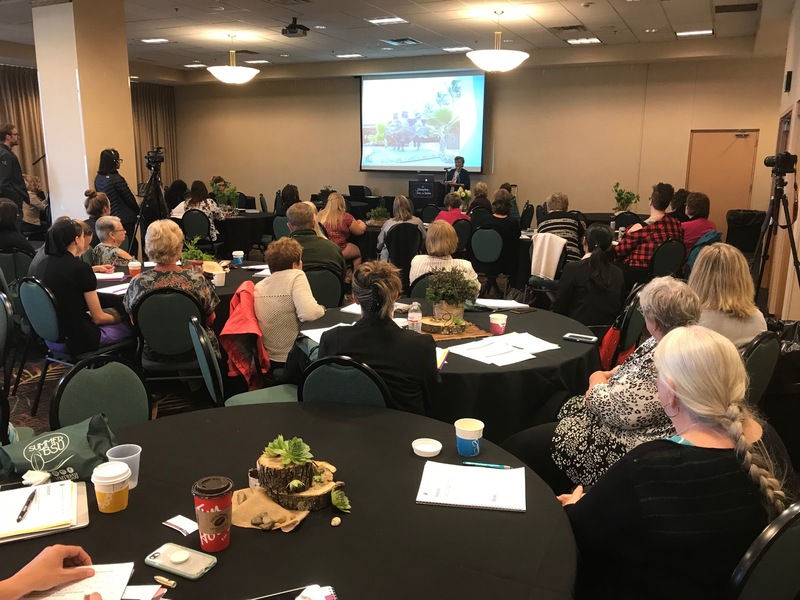 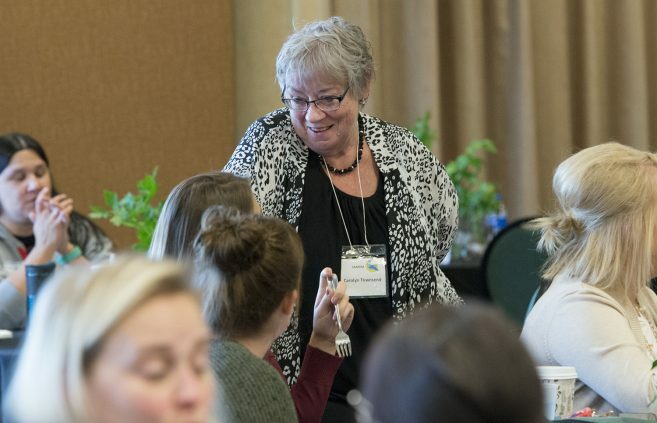 “Facilitating Holistic Nursing Care Through a Cultural Lens” Modeling and Role-Modeling International Conference held in Bemidji. 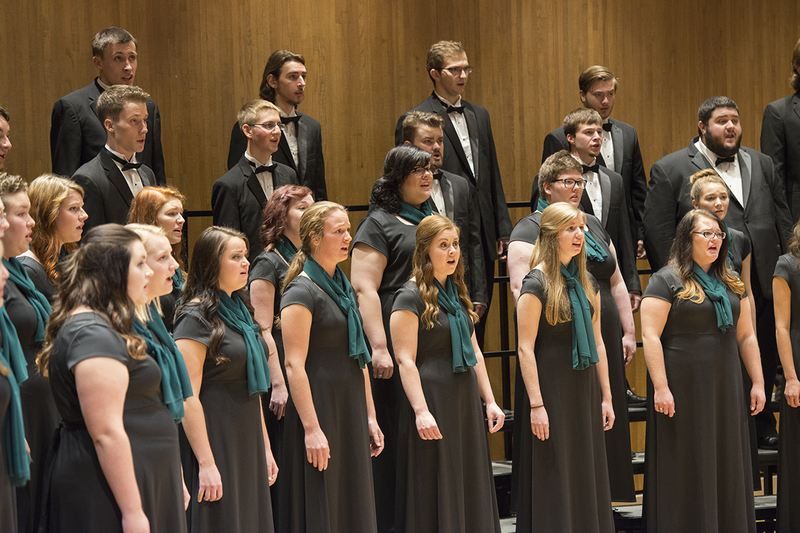 Bemidji State University’s Department of Music will hold its annual Carl O. Thompson Memorial Scholarship Concert on Oct. 7 to wrap up the celebrations of homecoming weekend. 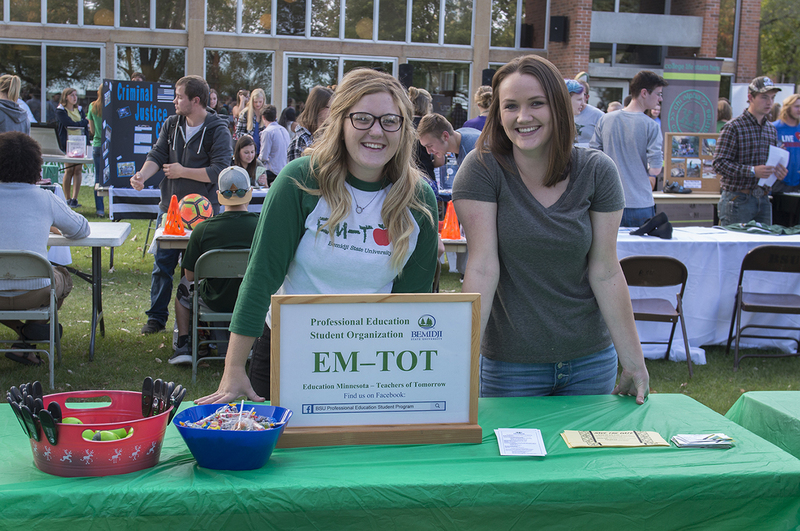 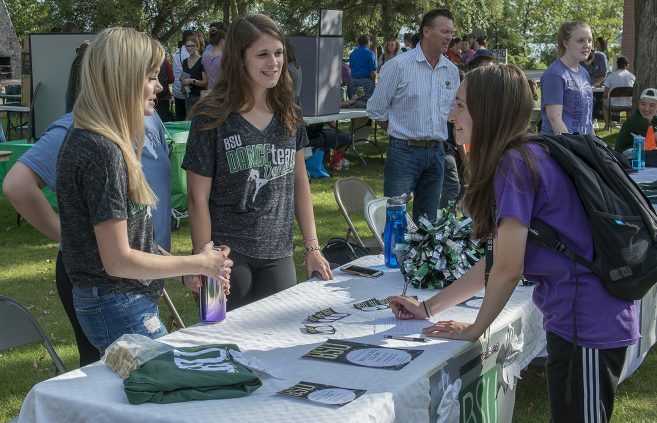 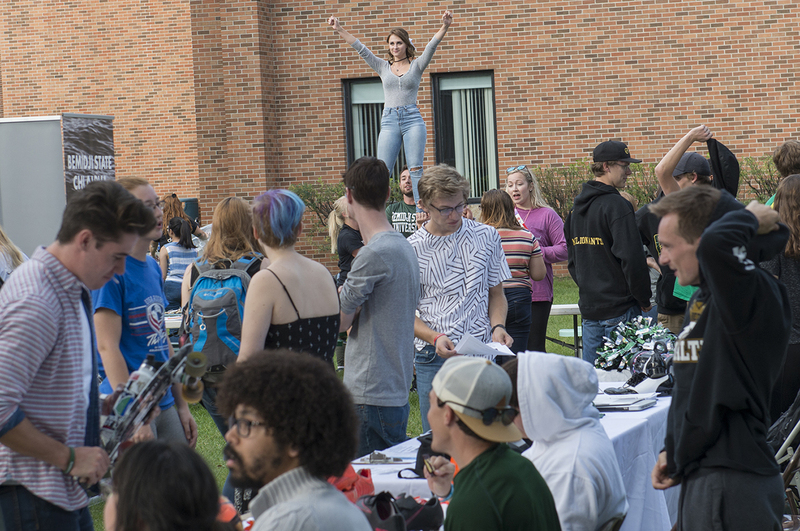 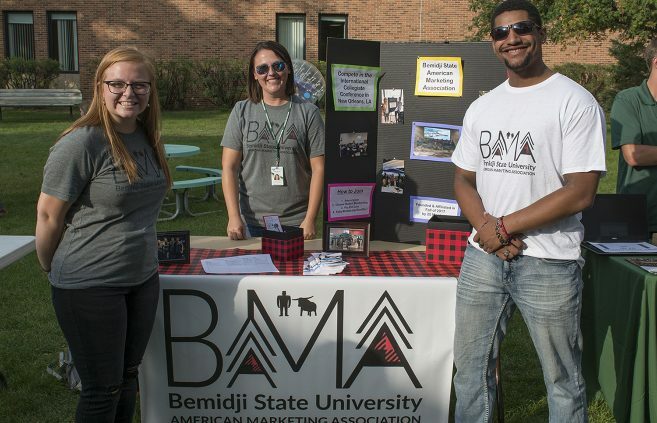 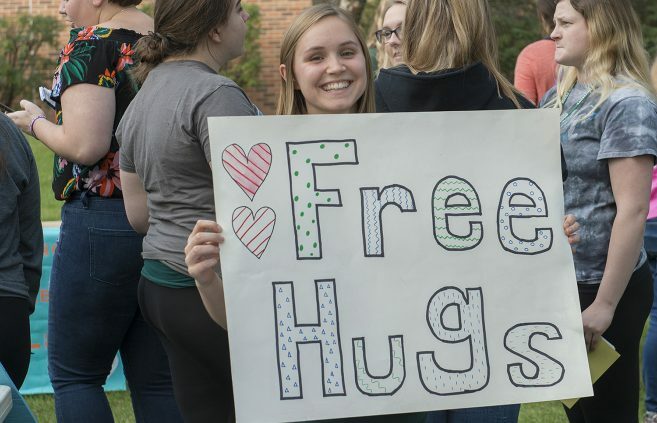 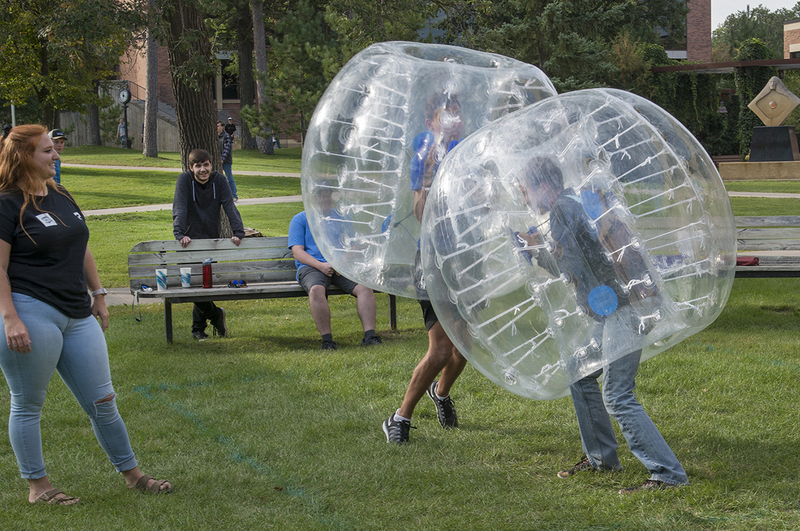 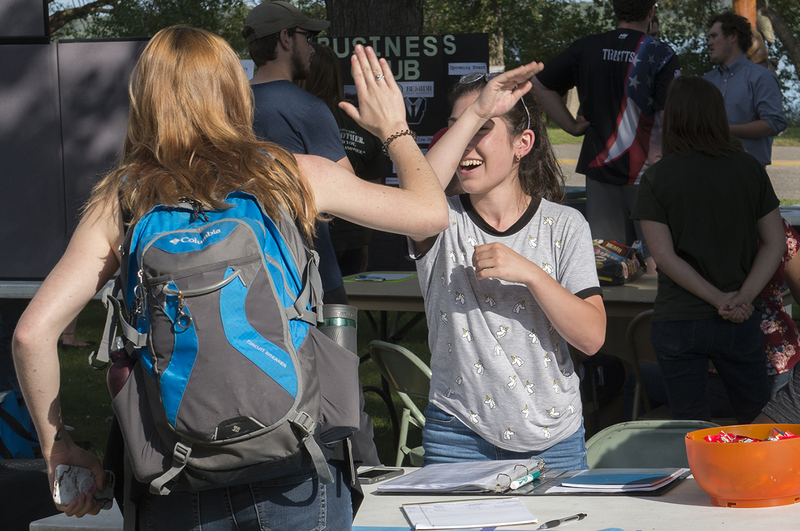 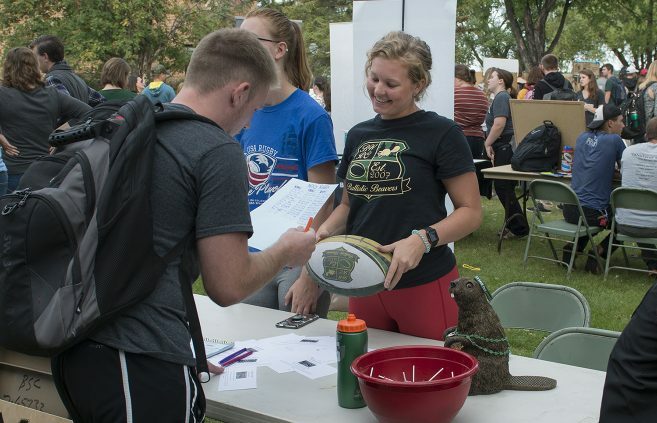 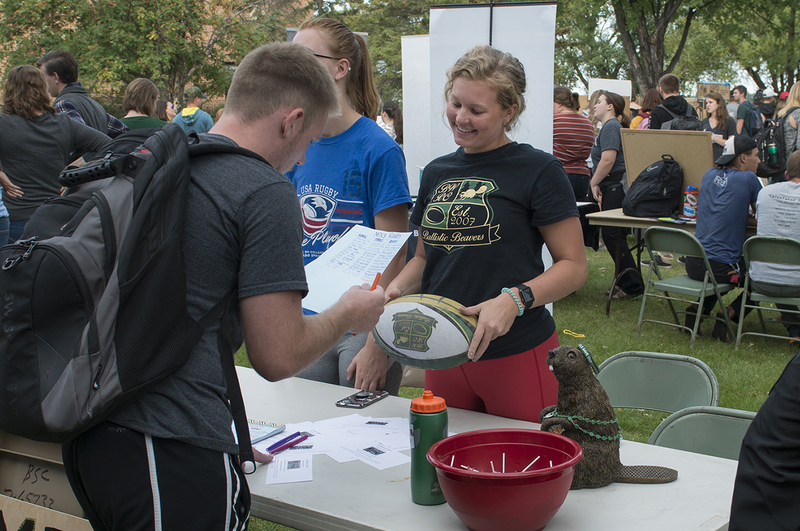 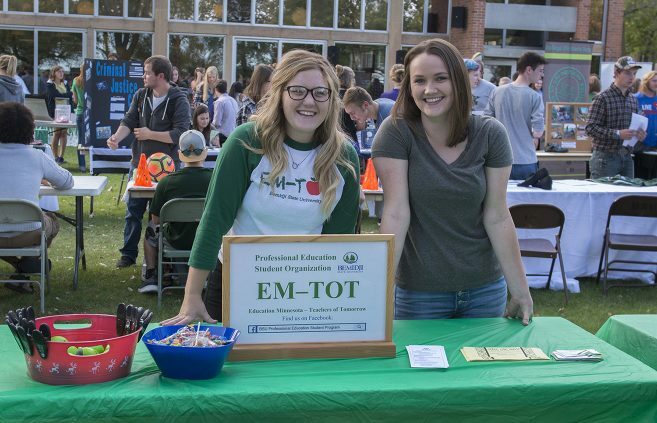 Bemidji State University has received its highest ranking in the annual U.S. News and World Reports America’s Best Colleges survey in the last five years. 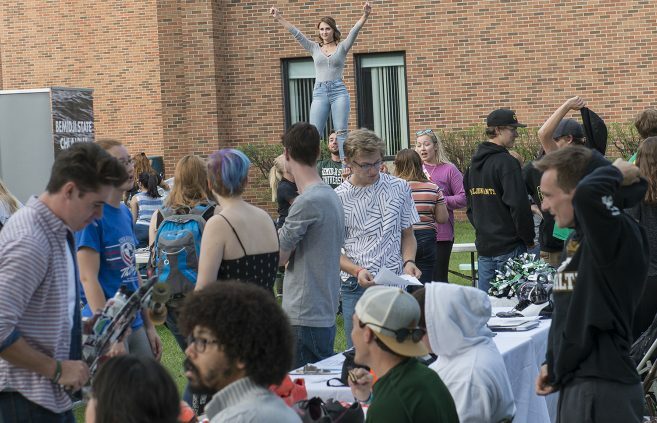 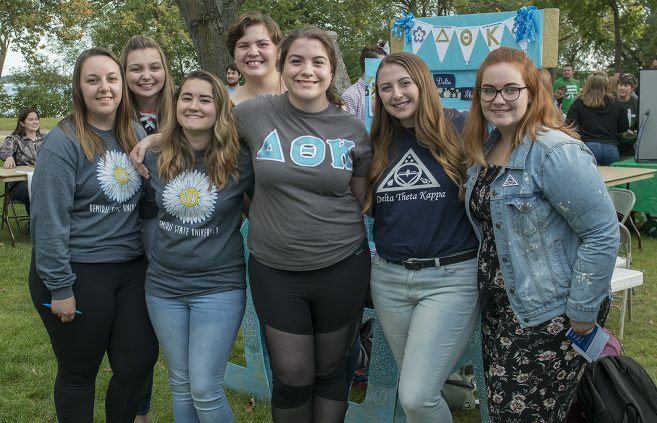 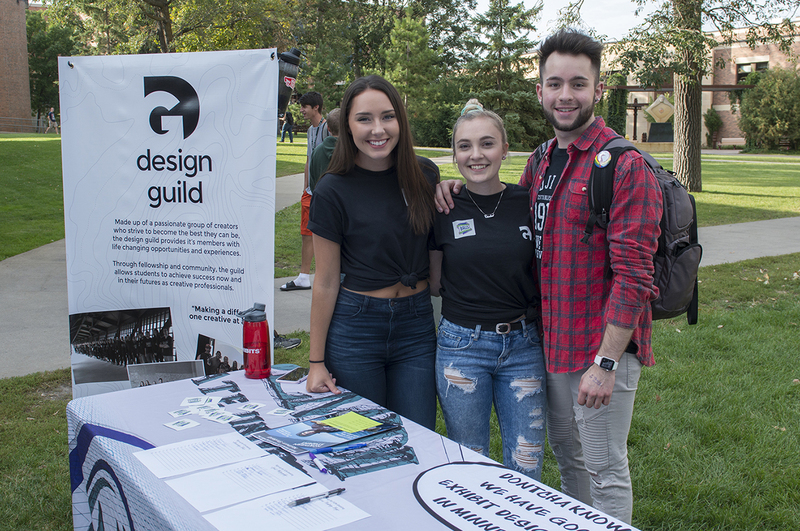 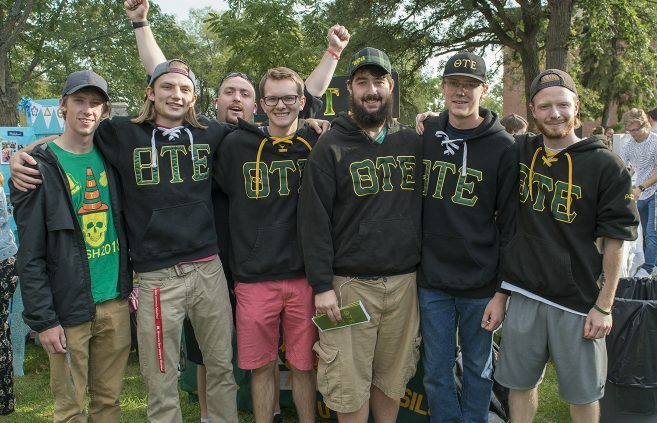 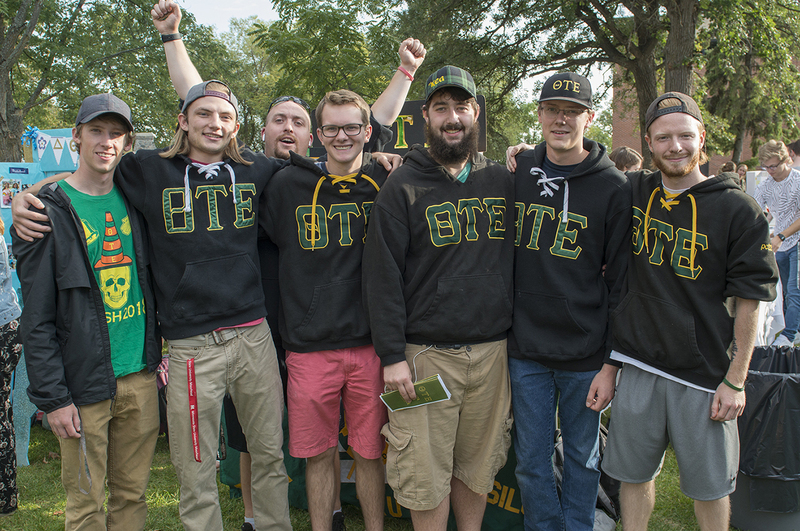 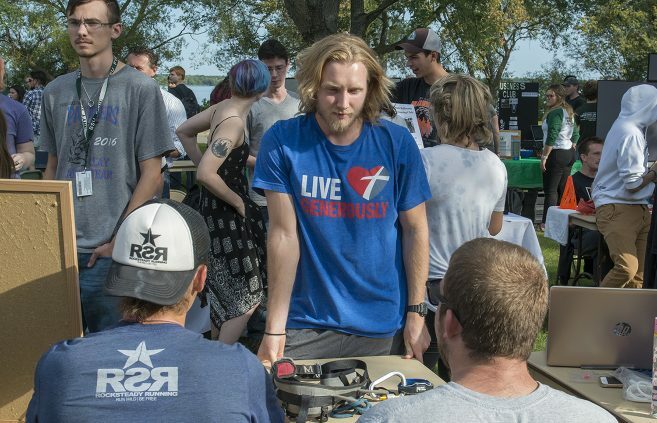 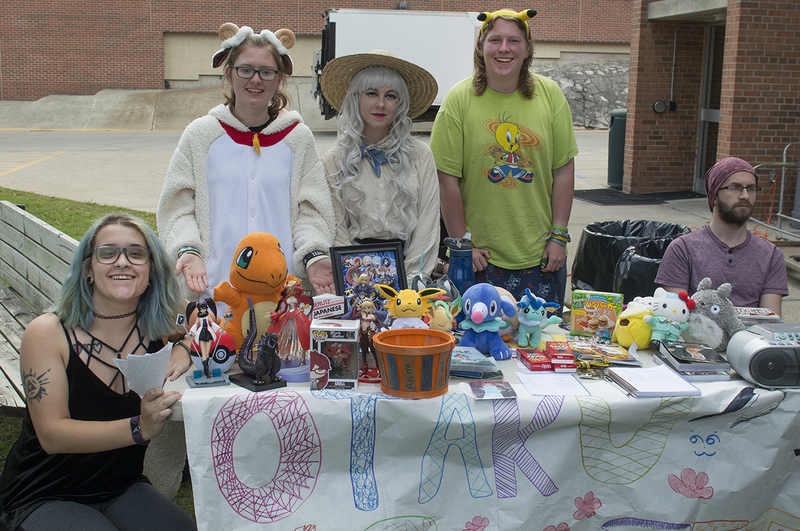 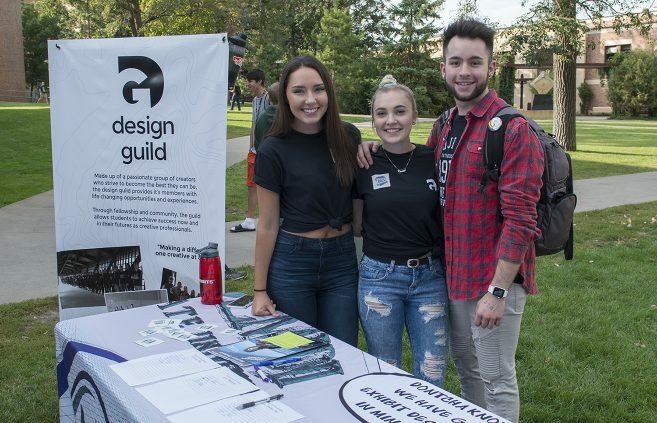 It has climbed to a tie for 94th overall in the survey’s list of colleges and universities in the Midwest Region, and tied for 22nd amongst the region’s public schools. 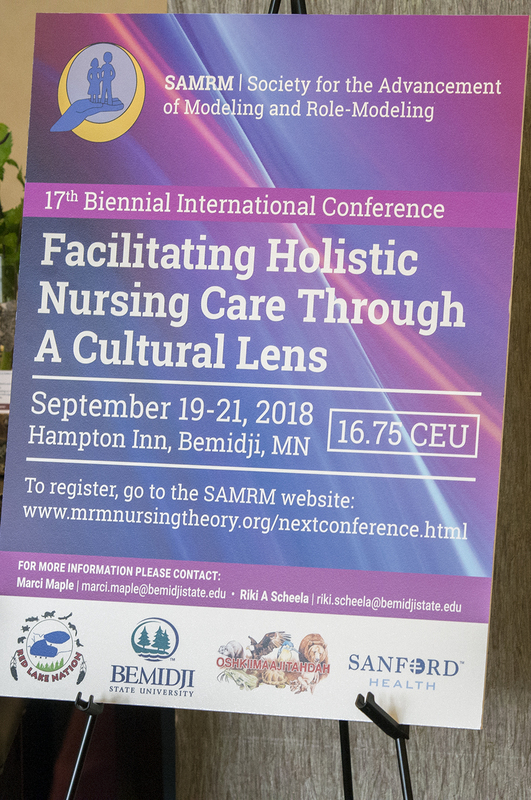 Faculty and students from Bemidji State University’s Department of Nursing have rare opportunity to participate in an international conference without leaving home, as the Society for the Advancement of Modeling and Role-Modeling brings its 17th Biennial International Conference to Bemidji beginning Sept. 19. 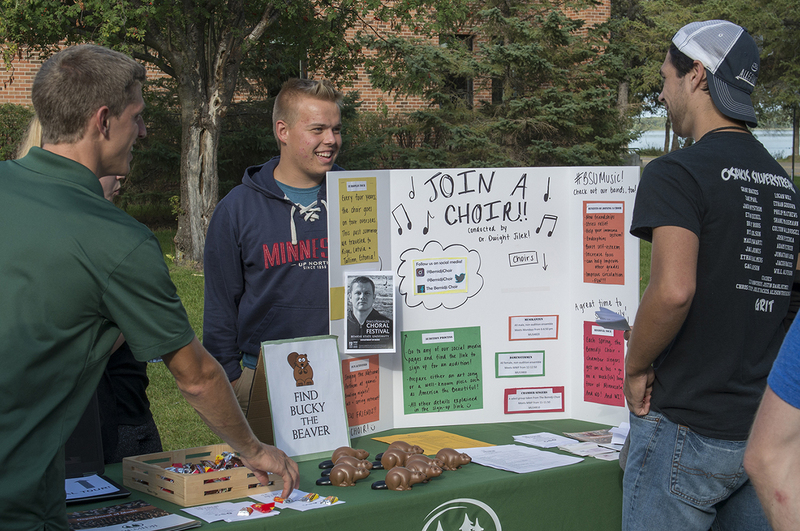 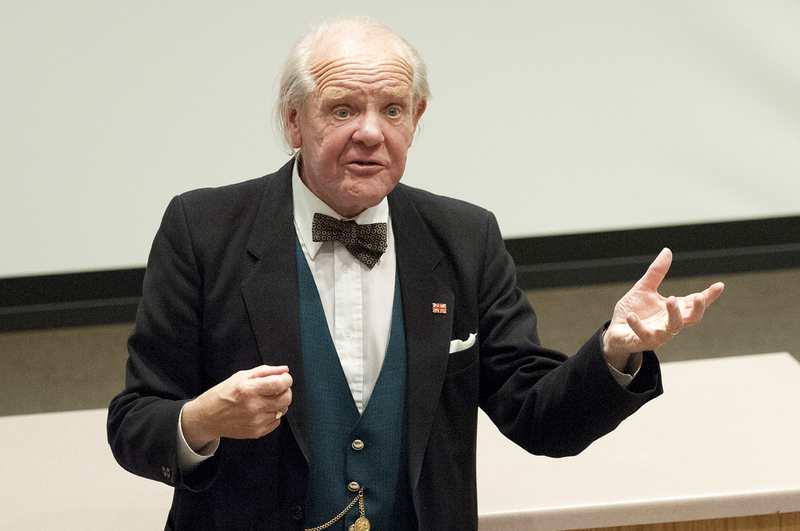 The Bemidji State University Honors Program has announced the lineup for its fall 2018 Honors Council Lecture Series. The series provides BSU faculty with a forum to share their expertise and the results of their research with the Bemidji community. 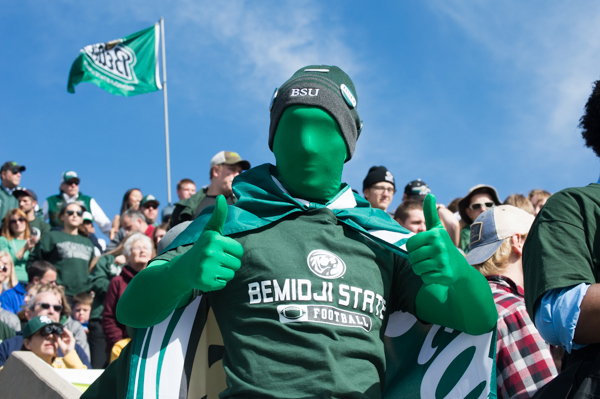 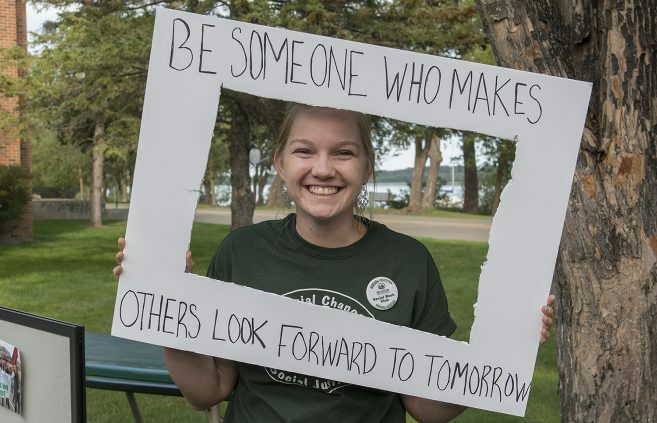 Bemidji State University has been named one of the best schools in the nation for homeschooled students by Best Value Schools. Thirteen members of Bemidji State University’s faculty received tenure, and an additional seven received promotions, at the beginning of the 2018-2019 academic year.